Freudian Psychology is based on the work of Sigmund Freud (1856-1939). He is the founder of Psychoanalysis and is credited with establishing the field of verbal psychotherapy. 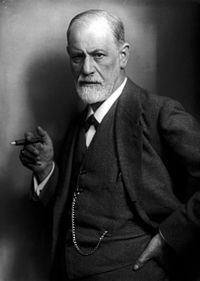 Freud is known for his theories of the unconscious mind, dreams, infantile sexuality, libido, repression, and transference, ego, and the superego. However, despite his acclaimed influence on psychology and psychotherapy, it seems that Freudian Psychology is criticized by many (Horgan, 2017) and is even considered to be pseudoscience. Is Freudian Psychology considered to be a scientifically valid approach? • What are the different branches of Psychoanalysis? • Is there anything in Freudian psychoanalytic theory that is scientifically sound? • Which schools of psychotherapy are most credible to a hard scientist? it is less effective for others. In other words, psychoanalysis and CBT are both appropriate for certain patients and disorders and that the decision between them has to be made case by case. ...the pursuit and application of knowledge and understanding of the natural and social world following a systematic methodology based on evidence. The greatest failing of psychoanalysis is its blatant rejection of the scientific method. Without such methods for critical thinking, a discipline inevitably drifts from one pseudoscientific system of belief to another. It should be stressed, however, that the human psyche is extremely complex and largely not understood. Other theories that are generally regarded as valid science, such as the string theory in astrophysics have never been proven either, and the relativity theory of Einstein took about hundred years to be proven right. Indeed, distinguishing between science and pseudoscience is problematic (Shermer, 2011). As covered in this answer to Does suppressing a desire make it more powerful?, Freud's work is derived from empirical evidence and backed up with high profile journal articles. Nonetheless, in the gray area between science and pseudoscience, according to eminent critics such as Karl Popper, Frank Cioffi, and Adolf Grünbaum, the theories of Freud are generally placed in the area of pseudoscience as they are seen as non-falisifiable. psychology was defined by the application of scientific method(s) and psychologists conduct valuable research and have developed some key insights into animal behavior, cognition, consciousness, and the human condition. Hansson, S. O. (2013). Defining pseudoscience and science. In: Pigliucci, M. & Boudry, M. (Eds.) The philosophy of pseudoscience, Chicago IL: University of Chicago Press. pp. 61-77. Horgan, J. (1996). Why Freud isn’t dead. Scientific American, 275(6), 106-111. The community is invited to improve this answer. This question-and-answer is discussed here in meta. You have to differentiate between psychoanalysis (PA) as a method and procedure for psythotherapy and PA as a theory of the human psyche. Criticism is mostly aimed at PA as a theory. The only therapeutic school that has been extensively evaluated is Cognitive Behavioral Therapy (CBT). In these evaluations, CBT is shown to "work". The absence of positive proof for PA (and other schools, such as systemic, gestalt, or humanist psychotherapy) is often interpreted by critics of PA to imply that only CBT is a valid method for psychotherapy and that PA does not "work". Recently, there have been increasing numbers of comparisons between CBT and other cognitive-behavioral schools and PA and other depth psychology schools (e.g. a long-term study of CBT vs PA for depression, where CBT is not much effective). The results show that PA is just as effective as CBT for many disorders, that it is more effective for certain disorders, and that it is less effective for others. Or in other words, that PA and CBT are both appropriate for certain patients and disorders and that the decision between them has to be made by case. One remaining disadvantage of PA, though, is that it is more time- and cost-intensive: PA therapies take years at three to four sessions per week, while CBT takes months at one session per week or less. Where they are equally effective, CBT is to be preferred, therefore. Certain PA therapeutic concepts such as transference and countertransference have been absorbed by non-depth-psychology therapies, because their therapeutic concepts has been lacking in this aspect. That is, PA survives in certain concepts that have become common therapeutic lore. The most intense criticism is aimed by experimental psychologists at PA as a theory of the psyche. "Scientific" psychologists believe (sic) that the Oedipus Complex is pseudoscientific nonsense. But there has been some experimental research into PA concepts, e.g. the defense mechanisms. Roy Baumeister has reviewed experimental evidence for a number of these mechanisms and has found experimental evidence for the existence of some of them. Plainly said: Freud was right in at least some of these mechanisms. Another concept that is generally accepted to be accurate is the unconsious. Few non-PA psychologists today would dare to claim that the unconscious does not exist. PA has survived as a therapy because of institutional power (they have been a part of the health system in Western countries for a hundred years and are difficult to displace) and because it was an extremely popular ancillary science in cultural theory (e.g. to analyze literature, cf. Lacan and poststructuralism). Like CBT, EMDR (Eye Movement Desensitisation and Reprocessing) is a clinically tested form of psychotherapy that is strongly grounded in psychological theory and has been shown experimentally to have a positive impact of victims of trauma and complex trauma. There is some debate about the quality of the evidence and more studies need to be done. We are now - just - beginning to understand how are genetics, experiences, thoughts and feeling and behaviour interact. It's an exciting time in cognitive psychology. Absolutely not. Psychoanalysis is not a science, as psychoanalysts would tell you themselves (they are strangely proud of it). There are no testable hypotheses, the overall framework is not falsifiable: if you agree, they are right, if you disagree, it's because you are in denial thus they are also right. I should also point out that psychoanalysis is discredited even as a clinical practice today. It's barely taught in universities anymore, and it never should have been. Psychoanalysis has never been proved to work in clinical trials but other frameworks have. So still using psychoanalysis today (e.g. with autistic children), while other techniques are known to be more efficient is at minimum unethical, and basically malpractice. Not the answer you're looking for? Browse other questions tagged psychoanalysis freud pseudoscience or ask your own question. Modern neurology: endorses or denies Freud?